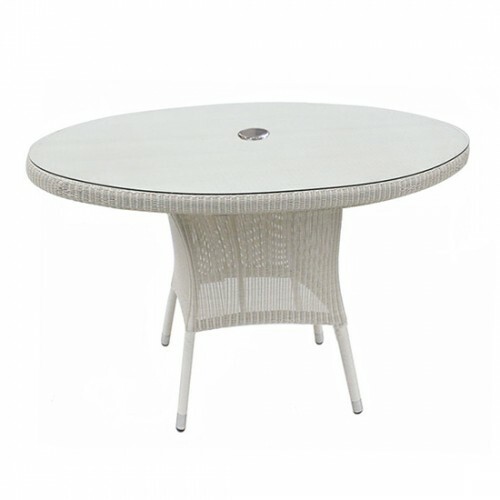 Offering the perfect balance between style and suitability, the Mayfair 230cm dining table is a great choice. 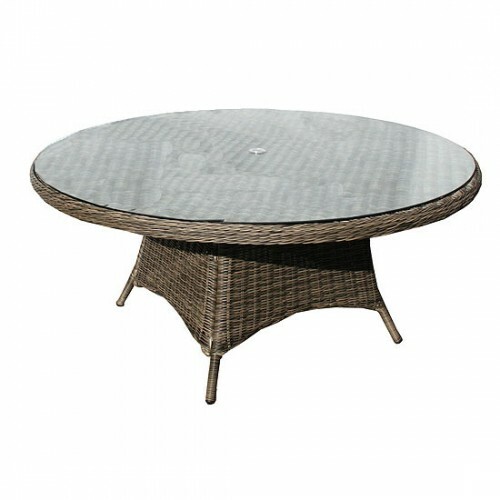 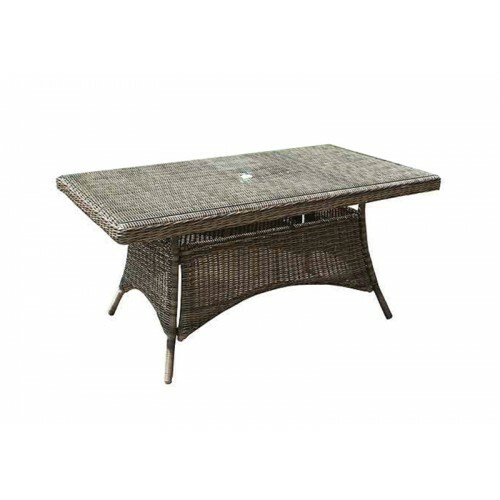 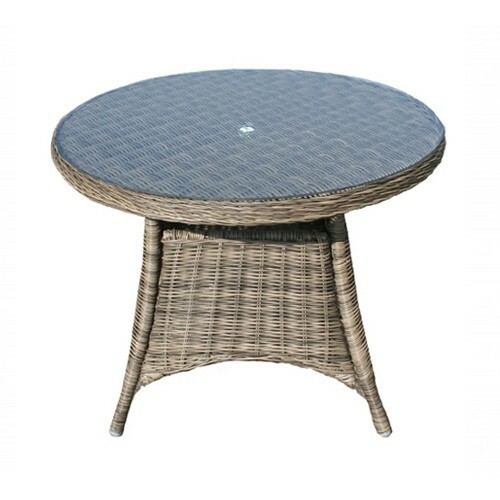 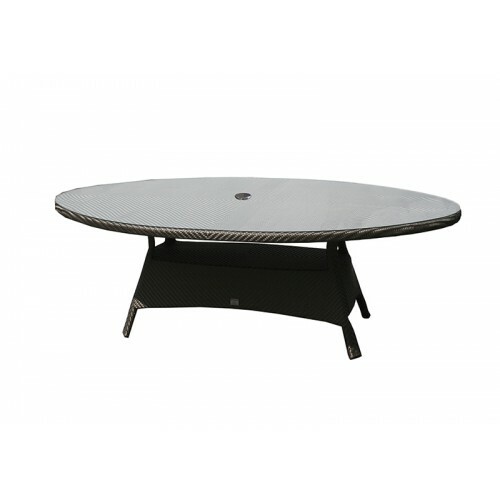 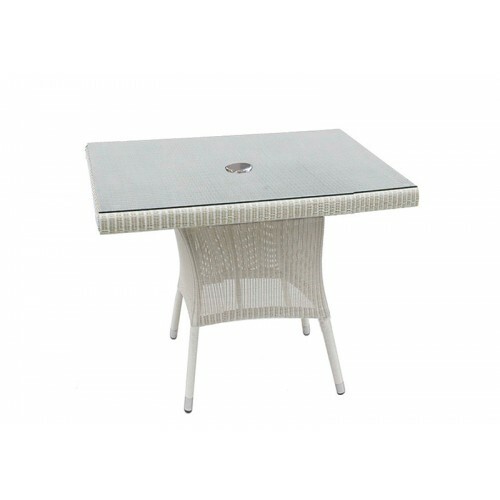 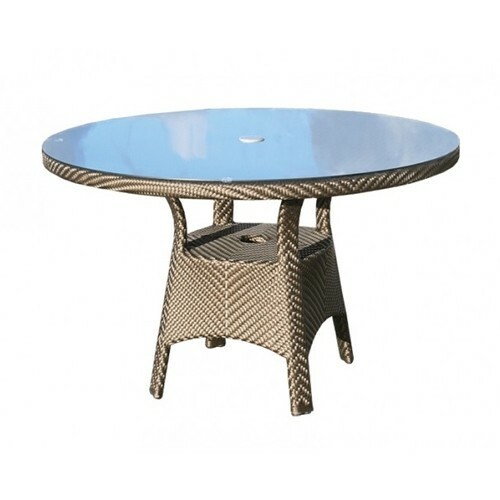 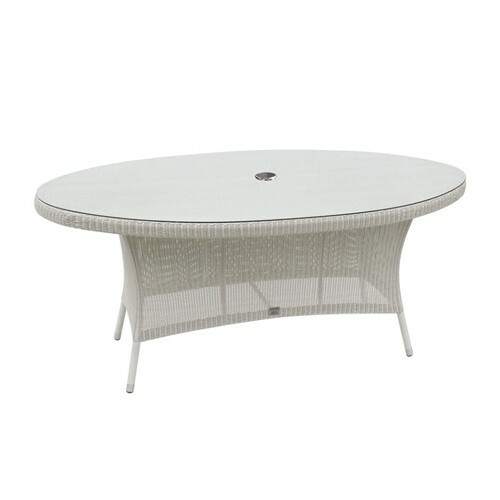 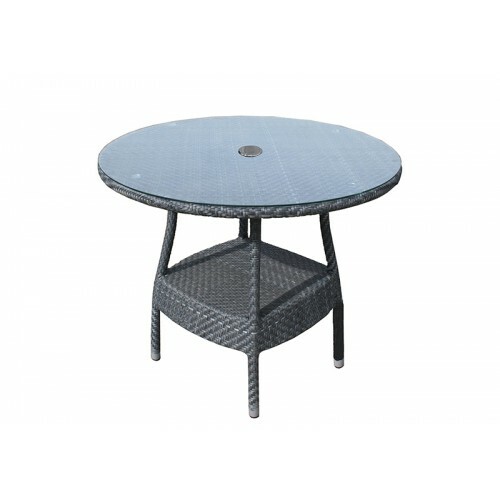 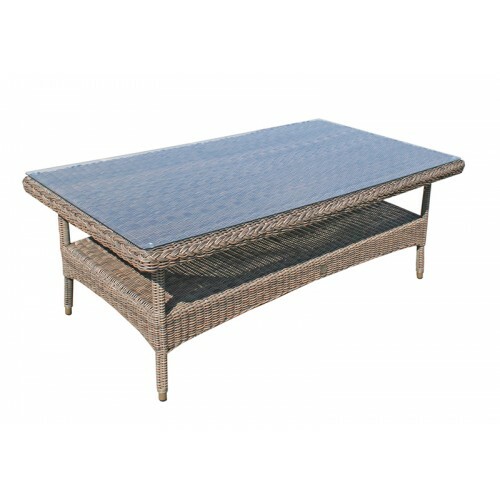 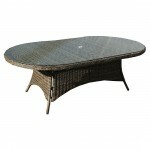 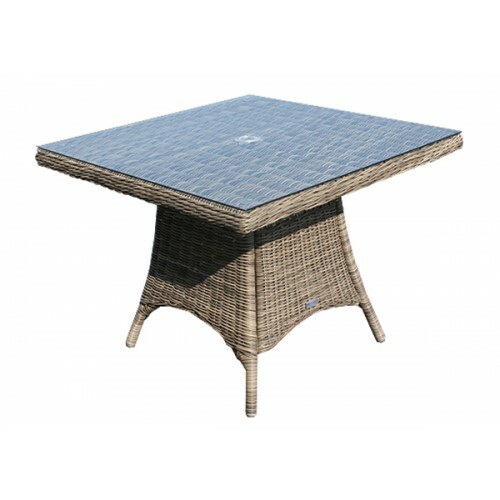 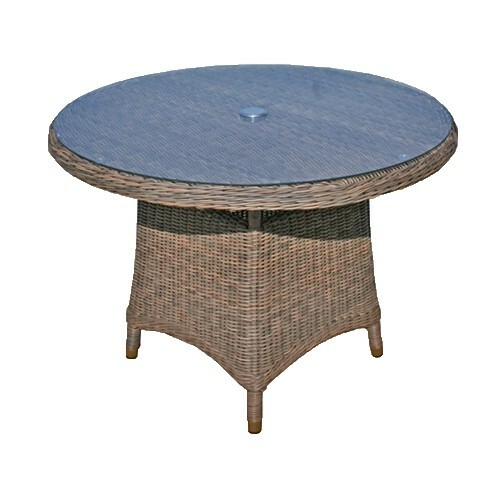 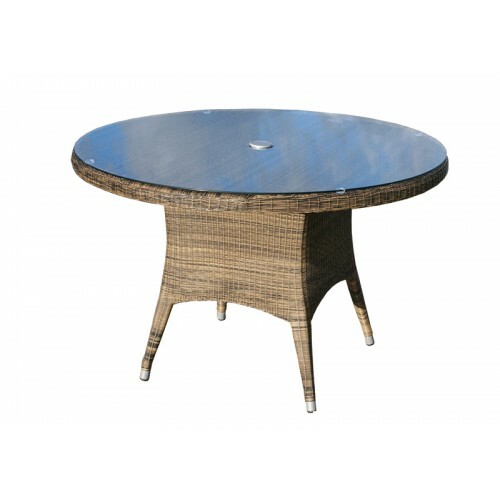 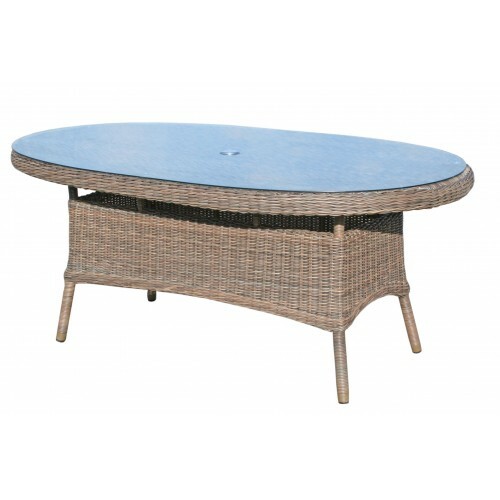 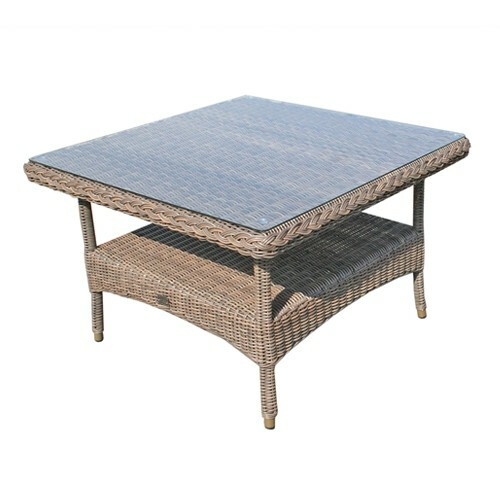 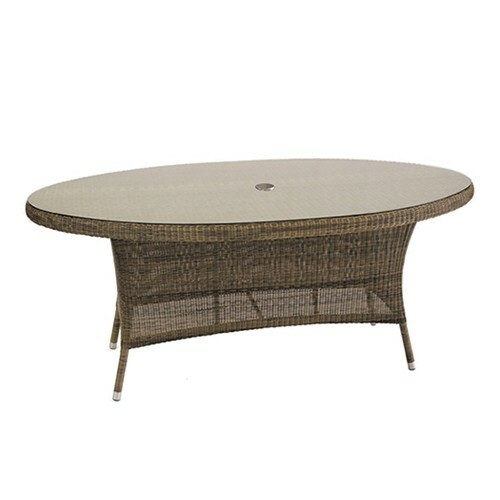 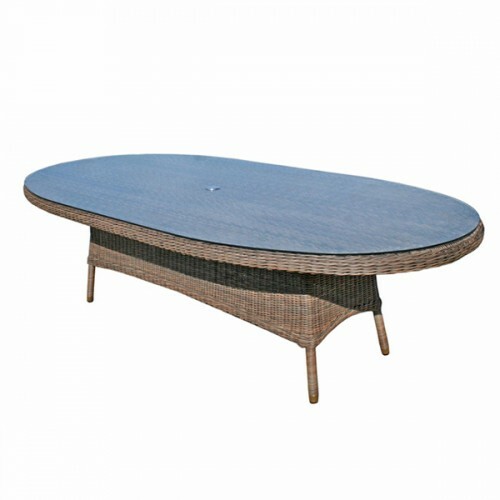 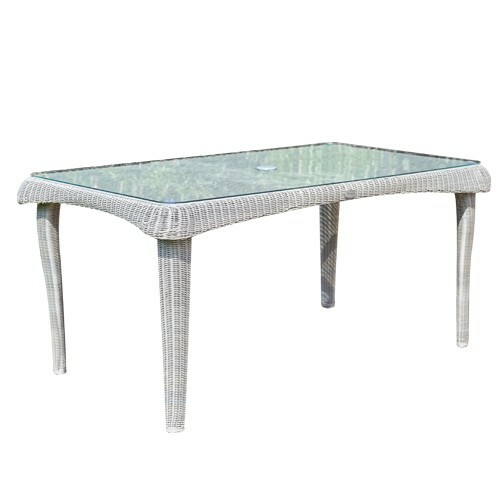 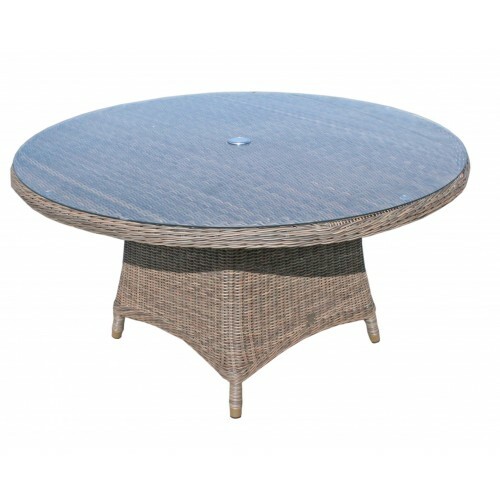 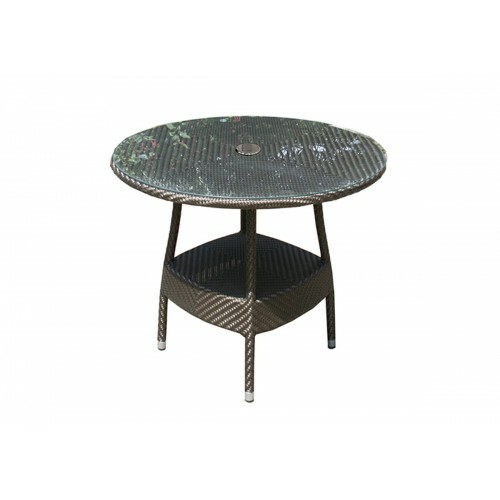 This table exhibits an elegant form that is lastingly stylish for patios, decks or conservatories. 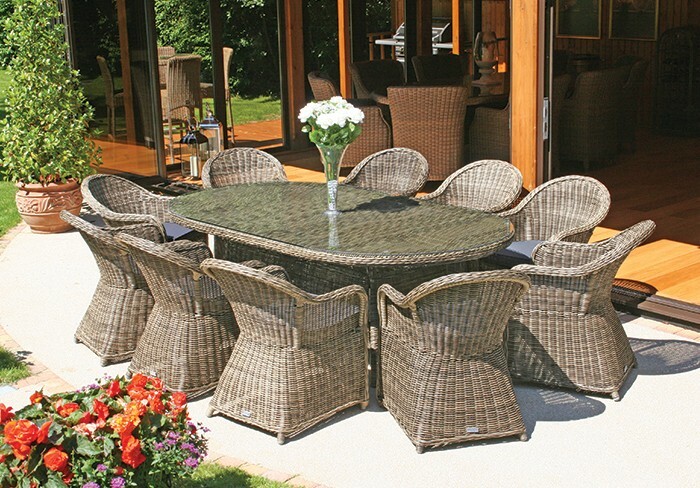 The oval shape, combined with the olive toned, full round weave is smooth and organic for a natural feel within an outdoor setting. 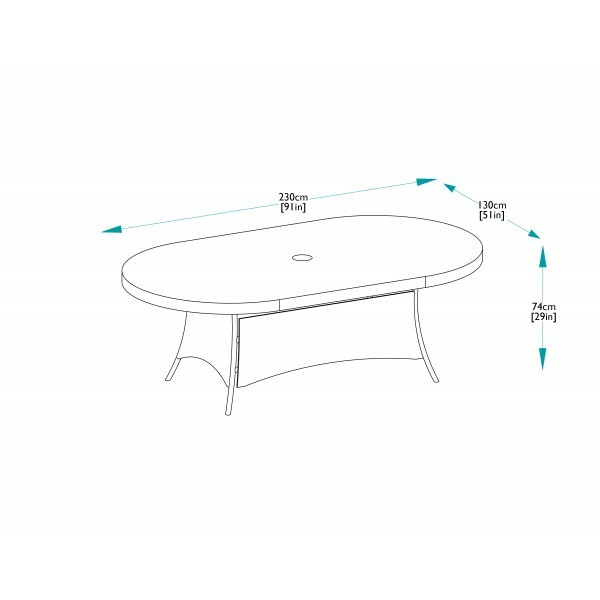 The strengthened glass tabletop is easy to clean, fitted with a plugged parasol hole and is the ideal size for serving eight to twelve dinner guests. 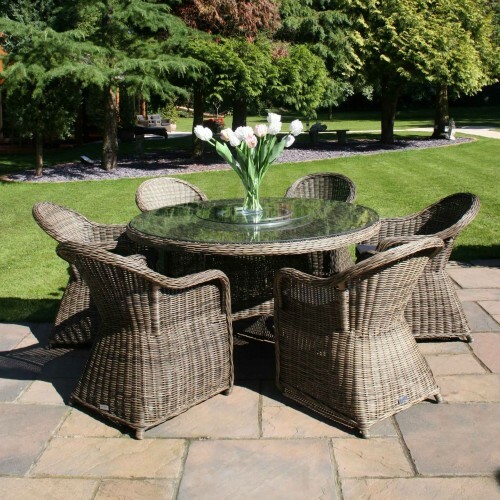 The full construction is weather resistant and only requires minimal cleaning to keep it in tip top condition all year round. 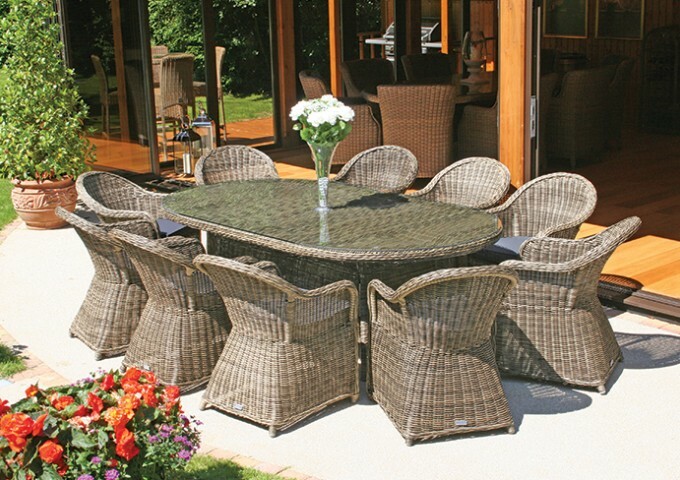 Choose from the Mayfair selection of coordinating dining chairs to create an impressive full set. 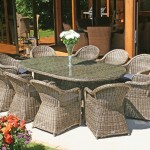 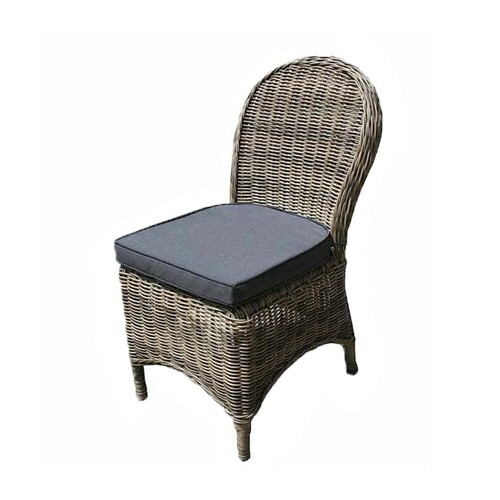 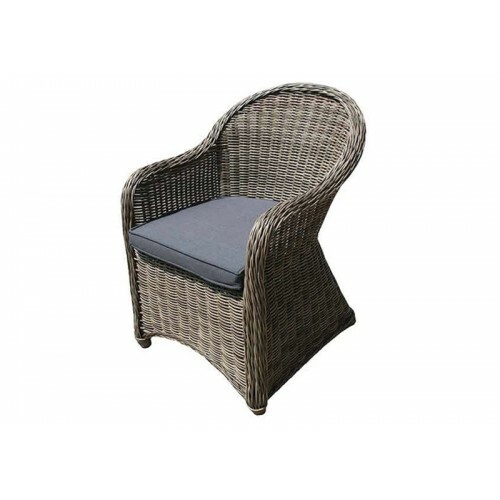 "My wife and I are extremely pleased with the garden furniture. 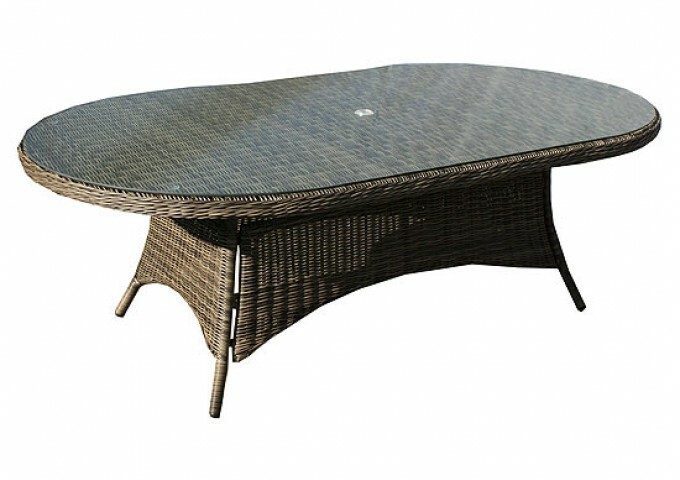 Looks great, excellent quality, and is very comfortable. 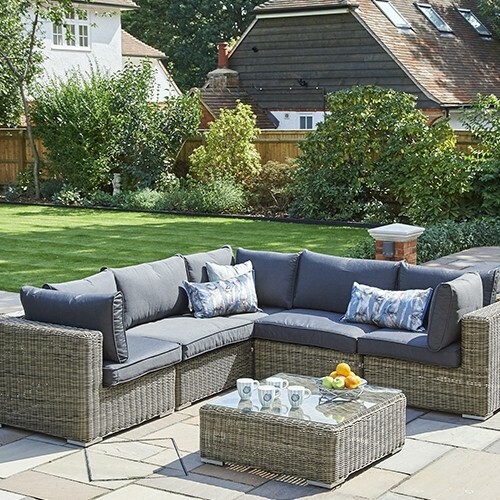 The furniture arrived just as we had finished extending our patio and it has already been enjoyed for several family get togethers and drinks with friends, pity the weather has not been better! 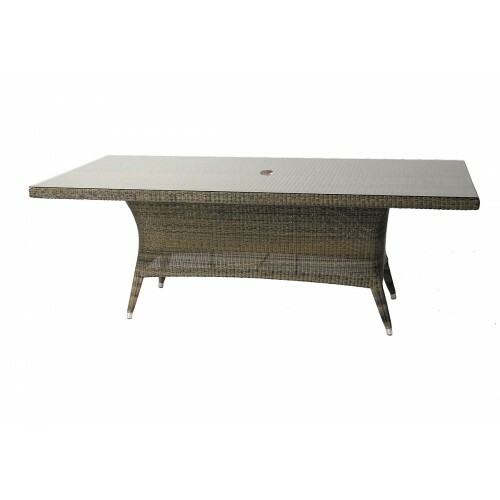 The delivery guys were very polite and helpful efficiently assembling the furniture and removing all the packaging. 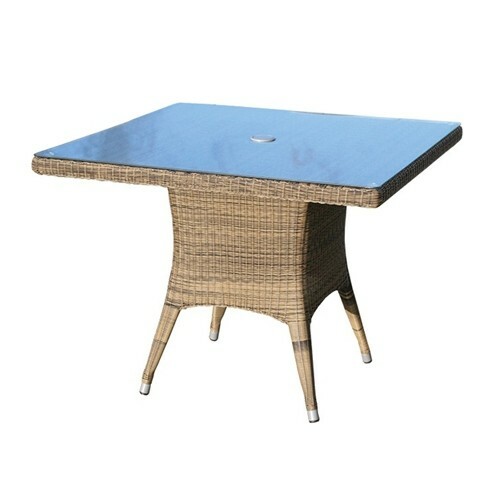 Thank you also for you help and advice."